Pediatric transplants in the valley, FINALLY?!?!? I LOVE Twitter. Daily I do a search for the term 'heart transplant' to find other moms or interesting articles. I have found some great follows through this avenue! But nothing compares to what I found tonight. And I researched Dr. John Nigro who graduated Med School from University of Illinois, specialized in pediatrc cardiothorasic surgery at Childnres Hospital of Los Angeles and did further training at Stanford University in NorCal. And I read the press release, released yesterday. Gabriella is a smart, smart cookie. She was always on her game when it came to speech. As anyone who has ever been on my blog before knows, that was all ripped from her September 25, 2009 when her stroke attacked the very spot in her brain that operate her speech. She has gotten to the point today, just shy of 5 months later, where she can say approximately 30-40 words and phrases in context and accurately (including Disneyland, which makes me the happiest mommy on earth). I couldn't be more proud of her progress! And to think that when her stroke happened, she had no control to even open her mouth or stick out her tongue! Granted, if she wasn't like me... stubborn and a perfectionist... she'd probably have more. But it'll come. I had to share a video I shot of her counting to 10 this past weekend. Most of Gabriella's words are crystal clear, but as you can see from the video, the words counting to 10 are not "perfect"... yet. The whole point of therapy is to train her mouth to move in the proper motions to get that sound and word in her head out accurately. The more and more she practices, this counting to 10 will be crystal clear. And she only follows my prompts, not because she doesn't know how to count to 10, but to train and prompt her mouth to move in the right sequence for the word itself. I'm hoping to post a followup video of her counting to 10 solo and crystal clear soon! Just Friday an article was plastered all over local papers and new stations about the rise in RSV cases this week. It's that time of year, where RSV reeks havoc on babies and little ones and kids under 12 are restricted from the hospitals. They said something like there is a normal 1600 cases every year, and so far 1300 cases have been identified. It is obvious to me this year will be a huge outbreak of it... seeing as how 64% of that 1300 was in the last week! Oh yeah, my point. To go back a bit, Gabriella does this throat clearing thing. After some research in both anatomy and symptoms of RCM, I found this to be a 'normal' tick for her condition due to the back up of blood flow from the stiff heart. She started a cough last Tuesday which at first I attributed to this tick she has. By Thursday she started fevers. Come Saturday, I couldn't keep her fevers under control and her cough was constant. I feared the stress it was putting on her heart. My amazing and near-Godly pediatrician took a bit out of his evening to talk to me and suggest I take her to the ER. He even called ahead to tell them to not let Gabriella sit with the cooties in the waiting room. When we got there, they were cleaning a room for her so sat us in the hallway outside the room to wait. I cased out the situation, the little girl before her had stepped on something and needed 4 stitches in her foot- so I knew the room wasn't just plastered for hours with RSV or another cootie. The downfall to sitting in the hallway was watching things go down in the room next to her where a 1 month old baby was being intubated for severe RSV. I was highly emotional, trying to not cry.... those poor parents. Later the nurse told me the cases they have seen have been so severe that day and they even had a 4m old breathing 96 times per minute! GEEZ! They hooked her up to a Pulse-Oxcimeter. I've decided I need one for my house. The last time she was monitored for any length of time was when she had her stroke. She was my 100% baby, to everyones surprise! Well, she tends to run about 94% sitting up not coughing and 89% sleeping. They did a chest X-ray which was clear despite wheezing and decreased lung sounds. They did a strep swap to rule out that, which ticked her off. They drew blood from her arm, and she fought so hard she blew her own vein! Nurse Toni was so amazing and calm about it all... she got some blood out of the blown vein anyways! (Shout out to nurse Toni! I hope you check in on the blog!!) She then started an IV in her hand to get more blood and be prepared if she needed IV antibiotics. All her bloodwork came back normal. She had elevated liver enzymes but they said that's common with fevers and general illness, and she was slightly dehydrated due to the Lasix for her heart. They decided she had a chest cold. That's right. We were in the ER until after 3am for a chest cold. So if this mom, who only takes kids missing limbs or convulsing to the ER, was in the ER with her 5yo and a chest cold, it can paint the picture of how hard that ridiculous cold was on her body. Her special heart can barely tolerate keeping HER going, let alone fight illness as well. I'm sure this is just a preview of the Immunosuppressed lifestyle she will have! Gabriella is in the ER tonight trying to diagnose and treat her high fevers and cough she's had. We have had an Xray, throat swap, 2 blood draws, O2 monitoring, heart monitoring... And haven't found anything conclusive yet. I will write tomorrow after we (hopefully) have a reason for all of this and after this exhausted and drained mama gets either sleep or strong coffee! The first and most common question is 'how long before Gabriella gets her heart?'. It is an answer no one has... and even the statistics below do not help us know how long we will wait. But the statistics below do show the volume of kids like Gabriella waiting. Her heart can come from anywhere in the country, not just our region. The statistics do not include listing status (urgency). Please check out the UNOS website link below and you can make your own personalized statistic charts based on organ, age, blood type, region of the USA, etc. I'll try and update these statistics weekly! As of February 19, 2010 there are 3,093 people (adults and children) in the United States waiting for a heart. There are 88 kids waiting for a heart in the age category 1 to 5 years in the whole United States. There are 18 one to five year olds waiting for a heart in Gabriella's blood type of A+. Half/9 of those kids have been waiting less than a year in the United States. There are 16 kids ages 1 to 5 waiting for a heart in the Region 5. There are 2 one to five year old kids matching her blood type of A+ in Region 5. "If you you could spend the day with the child whose heart will one day go to your daughter, would you?" Thats deep... it is kinda like asking "If you have the option to know when it is you will die, would you like to know?" Of course, spending time with him/her would be extremely heartbreaking- knowing they were not going to live, but that is a fear I live anyways... everyday with my Gabriella. But the answer for me is easy and sincere.... yes. If it were even remotely possible to know who it would be, I would love to be with that child. Like I blogged, whoever the donor is will not die BECAUSE of Gabriella, Gabriella will live because of them and the necessity of God's divine plan. And to actually know that child, experience their personality, and form that living bond... that would be priceless. To think of the legacy that could be carried on by Gabriella and I actually knowing about them in human flesh... just amazing. I have such a passion to always keep the donor's spirit alive and always tell the story. To always include him/her in Gabriella's story, so that the importance of their gift, and reality of the fact that they were a living and impactful vessel of God, can always remain as real as Gabriella's survival is real. Thank you so much for asking me that!! February 11... I will never forget the date. Not only because it is my little sisters birthday... but also because that was the day Gabriella's new heart journey started. It came exactly 9 months, almost to the hour, from when we sat in that small room at the cardiology office and were told Gabriella needed a new heart- May 11, 2009. We were dealt setbacks with needing air transportation in August, Gabriella's stroke in September and months thereafter of recovery from the stroke. But finally, the day we once feared but now are ecstatic for, came. In the early weeks of finding out she needed a new heart, her doctor told us Gabriella would have, potentially, a maximum of 5 years before this condition would take her life. He said it with much caution, as no one knew what to expect of this condition that children just do not get. Everyday we wait is a day closer to loosing her... it is just that no human knows how many of those waiting days there are. As these more recent visits have gone, I see Dr. Alhadheri's doubts in having 4 more years visual on his face. We had so much fear in August, when we went for our intake visit to Loma Linda. It was still such a hard concept for us, with Gabriella being so visually healthy. To think of the surgery and the severity of what we were putting her through, we just couldn't be 100% at peace with it all. When she had her stroke in September, and were given a visual experience of how unhealthy she really was, we were given a wake-up call. These months of recovery and waiting, and watching her get worse, put us in a position this past week to go to Loma Linda for listing with excitement and joy. The only way to ensure Gabriella gets to start school, experience recess, face peer pressure, win a competition, learn to drive, dye her hair odd colors, go to prom, graduate from high school, choose a career and pursue it, meet her soul mate, have or adopt babies... or even change the world- she needs a new heart. In the very same way, another child will not. It is impossible to have a single moment rejoicing in the memories yet to come without grieving in the moments another mother will not have. My heart is so full of excitement and happiness and in the same moment compassion for another woman out there I don't know yet. It is something I will never be able to explain, not on my blog or in person. It is a feeling that is just a feeling, and one that is only shared among others who have actually experienced it. The most important thing to remember is that a child will not loose their life SO THAT Gabriella can live. Gabriella will live BECAUSE a child had to loose their life. It is all part of God's divine plan. Which to me means, it is okay to pray for Gabriella's new heart. It does not mean you are praying the death of another child. I find it my best advice to pray for God's timing and ultimate design. That, if another child does have to loose their life, that their gift can be forever shared and displayed in the life Gabriella lives. That the mother, father and family of the child who gives this gift can find peace and comfort, if in nothing else, that they spared another parent of that pain. The day we get the call for Gabriella's new 'sparkly heart' will be a day our family expands. Whether or not we ever meet the donor family, they will be forever a part of ours and my debt to them can never be repaid. I will make it my focus in life to make sure Gabriella always understands the gift like no other she received. My name is Lara and I am a friend of Kristi. I am constantly amazed how people come into your life for a reason. I worked with Kristi for a very short amount of time, but became great friends. I am also a mother of a child that has gone home to Jesus. Her name is Avery and I now have my very own Guardian Angel. As a mother, we all want the very best for our children and the thought of losing one is nearly unbearable for us all. Trust me, it is. But...in the loss and over time, you become aware that your life becomes an example for others that are going through similar situations or hardships. For me, I have been blessed with Kristi and Gabriella. I unfortunately was not able to donate any organs of my precious Avery, due to severe internal injuries. BUT... I WOULD HAVE! I truly believe that the greatest blessing a grieving mother could get, would be the knowledge that your child saved someone else. What an amazing gift!!! The loss of your child will not go away and your gift will not bring her back, but I would never, ever, ever wish the pain of a lost child on my very worst enemy. What a wonderful feeling to know that you have spared another family that pain. God has a day and time for us all. Unfortunately, some are taken away before we believe they should be. But some, a very few, need help from another special angel so that they may live life until their time comes. Much love to you all. GABRIELLA IS OFFICIALLY ON THE HEART TRANSPLANT LIST!!!!!!!!!!! Praise God and His amazing love. And my heart is constantly with the family who will give my daughter the gift of life while greiving their own loss. God knows who they are already. This won't be the typical in depth and descriptive blog entry... lol. We got word this afternoon that our insurance approved a visit for this Thursday and we are leaving Wednesday afternoon for California! We will stay in Riverside (thanks Priceline for your killer NYOP deals) and have an appointment Thursday morning for Gabriella. Neuro documents approving her for transplant have been sent to Loma Linda (not without a days worth of fighting to get them sent today) and everything is in line! They will do some bloodwork and a general evaluation of her status and get her on the list within 24hours of our visit! I am ecstatic! This stage of chaos I've been dealing with this week to get this pulled together is definitely going to pay off when everything is in line and we come home to WAIT! For those interested in the 'list' procedures.... They basically put Gabriella's stats into a national database, UNOS- United Network for Organ Sharing. She isn't listed as "Number 34" or whatever number she would be. Rather, they have all the candidates in there with all their stats, and when a donor heart becomes available, they plug in the donor heart stats and a list is THEN generated for that specific heart offers compatibility. Of course, part of the stats they enter for candidates is level, and Gabriella being a non-urgent level (praise God), she would not get the heart before a child on life support. It is a gamble every time they get a donor heart. Newest on little Kate, Warriors Needed! Gabriella is about to begin the journey to her new heart... A heart that brings hope and healing. As many have said, it is exchanging one set of problems for another, but sometimes the new problems carry a bit more hope than the old ones. No more fears and risks of strokes that can debilitate her, sudden cardiac death that will take her from us, destruction to her lungs that will cause greater problems, etc. But we will be adding medications that will take a toll on other organs, risks of infections, and countless other inconveniences... but will keep her alive and emotionally intact. Can you see how the new set of problems is more manageable? We have such a heart for Kate McRae, whom I have previously mentioned on our blog. Gabriella is practically best friends with her, and they have yet to meet. Even with Gabriella's struggling words, she prays at night "No more ow's me, no more ow's Pay (Kate)"........ Kate is now 6 years old, battling an extremely rare and dangerous brain tumor. If you haven't been following Kate, she has been through brain surgery, 5 rounds of chemo, consults with doctors around the country, and endless scans and testing- just since July 2009. 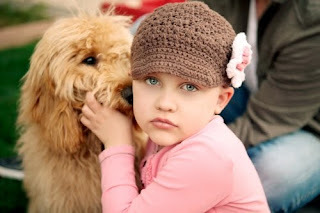 Kate's most recent scan showed that the aggressive study she was participating in did not completely remove the tumor. Her parents were faced with a choice, whether to operate on the tumor which would be a tremendous risk to Kate, or to continue on with radiation and a stem cell transplant to try and beat the remainder tumor. Of course, the other option I'm sure they were given but didn't talk about much was the option to do nothing and let her enjoy life.... the same option we were given mid-May 2009 regarding Gabriella's heart. How does a parent choose what is best for their child? How do you know what the right path is for this human you are completely responsible for? You have faith... which is EXACTLY what Aaron and Holly, her parents, have relied on in whole. Kare was admitted yesterday for her 6th round of treatment. She will be in the hospital in a private room for up to 6 weeks, and will receive a stem cell transplant. What they will do is completely bottom out her system, and flood it with healthy stem cells harvested months ago. How amazing God has given us the ability and technology to do such a treatment! Please be in prayer and spread the word about Kate. Just as Gabriella's heart transplant will be a glimmer of hope, I am praying the same for Kate and this stem cell transplant. Her website for journal updates is http://www.prayforkate.com/ and there is a twitter account that will alert of new journal entries at www.twitter.com/prayforkate. Post a link to this blog entry on your blog or Facebook or Twitter, email the link to your friends, and pray. And thank you, Brian Wurzell, for the amazing recent picture of Kate and push for a virtual blitz! I have this pretty awesome friend. We haven't hung out a lot, we haven't talked a lot, but we share a lot when we can and have a very common denominator. She posted a poem today that I MUST share! Thanks, Owens Momma! This week is Congenital Heart Defect Awareness Week, as well as Heart Disease and Stroke Awareness Month! (You read my faded tee). Then asked, "What's a CHD?" There's stats that I could give. What is it like to have a child with a CHD? It's wondering...Lord what's your will? It's a constant reminder to always give thanks. It's knowing that I need to help him grow strong. It's seeing my reward in every smile. It's knowing that there is just no time for sleeping. It's normalacy I sometimes miss. It's asking do his nails look blue? It's cringing inside at what he's been through. She knows me by name, I'm a mom on a mission. It's knowing this journey has made me much wiser. It's watching him sleeping his breathing is steady. It's surgery day and I'll never be ready. It's knowing that his heart must be repaired. It's praying...it's hoping...that he'll be okay. It's the bond that we share, it was so unexpected. It's touching it gently and knowing we're blessed. It's the moment I realized I've stopped asking why. They remind me of those who aren't with us today. Or a special heart bear or a frog in the rain. It's their lives that remind us we still need to fight! This is what we face each day. Gabriella is CLEAR for listing! PRAISE GOD! Her scan looked great! The area has 'recannulaized'. He said the blood flow has been restored to the area and the clot is gone! The damage done to the surrounding areas is irreversible but to know the cause of the issue is completely gone is TOTALLY God! And to know she is safe for bypass and transplant is invaluable news! Gabriella is most excited that her Lovenox shots are all done and she only has to chew a baby aspirin! I barely had the call disconnected before I dialed Loma Linda. I am waiting now to hear back from them if we can go this Thursday to clinic and get her listed then or if we are too late for this week and have to go next Thursday. They will evaluate her and get her listed! EEEK! Thank you to everyone, who from September 25th until today had their prayers on Gabriella. Those deep and heartfelt cries to God to take the clot and destroy it worked! And to know that those prayers will now be on her new heart and the surgery it entails makes me so excited to see God work again in that area! The Lia Sophia fundraiser previously posted on our blog and supportgabriellasheart.blogspot.com will be closing Tuesday! Be sure to take advantage of the buy 2 or more items at regular price, get 2 or more expensive items half off! All items ship direct to you. I love the Lia Sophia pieces I own and it is such a great jewelry line. Rodium jewelry that won't tarnish and lifetime warranty for any damage to the piece! Check out the previous post for ordering details. 50% of all the proceeds go directly to Gabriellas Heart Fund! Whew, what a relief! It feels so good to have this past us! We got up early and went to Phoenix Childrens for Gabriella's MRI. We got registered and taken back quickly to MRI waiting. The anesthesiologist came in and went over Gabriellas history with us. She told us about her approach to putting Gabriella under this time, since she was so unstable in September. By the look of shock on my face, she asked me if I even know what happened in September. She proceeded to tell me that putting Gabriella under when she had her stroke was risky, and her heart was extremely unstable during the MRI. She hit a critical point under anesthesia and she needed to prepare for that today. She decided to only put the gas on Gabriella briefly and only do what meds were absolutely necessary. So I went in with Gabriella, and she was such a big girl. She laid on the table willingly. She was scared and crying but knew this was something we had to do. They put the gas on her and it took her about a minute to calm, and they kicked me out. About 45minutes later, they called us back. We could hear Gabriella crying from the hallway. When we got in, they let me hold her. They told me that she was doing well with the gas and her heart remained stable, so they only did minimal IV meds to keep her under. The downfall to this type of anesthesia is it causes the kids to wake up quickly afterwards and VERY agitated. Gabriella cried for a good 25 minutes before we got her to calm down. She started coming around and she drank some water, and before we knew it we were being discharged! She has been home and relaxing all afternoon now. She's eaten a PBJ sandwich, sausage, cereal and chicken nuggets. I swear, that girl can put DOWN some food nowadays!!! Positive part of the type of anesthesia they did is she isn't sick! My work has started though. I have called the cardiologist directly, his nurse, and the Neurologists nurse. I am about to start my second round of phone calls right now before close of business. We NEED these results and the authorization for transplant SOON! Once we get that, we can head to Loma Linda for clinic and that's IT! She'll be listed!!!!!!! If you can pray specifically for the MRI results being clear and the process being quick, because Gabriella's heart cannot wait forever. When we stayed at the Ronald McDonald House for Gabriella's stroke, it was amazing what just a short time spent there could do. I went over there for an hour daily to shower and refresh, and occasionally spent a little extra time if PJ was brought up to us there. Their playground was a fun place for him to get rid of some energy while blowing bubbles or hitting a beach ball with me. The room was comfortable and calm, unlike the inside of the hospital walls. Having a place to take a warm and quiet shower was like winning the lottery. The big comfy couches in the living room gave us 5 minutes of normalcy, sitting in more than a hard recliner sleeper. The computers allowed me to quickly reply to and check on the support Gabriella was shown without interruption. The dining room gave a place for those hot meals brought in by volunteers nightly to be enjoyed and we were able to meet other parents with little ones fighting various battles over food. And the kitchen was always my favorite last stop to grab something on the go before running back to my daughter. The Ronald McDonald House was always a great place to me when I would hear about it here and there. But until I experienced it, I could never have fully appreciated what it offered. Our stay at the RMH Phoenix Childrens was merely a preview of the blessing they are, since we will be staying at the House in Loma Linda for months come transplant time. Tomorrow Gabriella has her MRI at Phoenix Childrens. Everytime we head to Phoenix for an appointment or test, I try and make it a priority to put something together to take to the Ronald McDonald House on campus that so blessed us in September and October. Because of how much we appreciate what they offered to our family, we want to help do our part in giving back what we can right now. We want to help more in the future by making monthly meals and volunteering in whatever way we can. For now, we take different foods and essentials to the house. There were a couple days when we stayed there that quick snacks or fast meals were in short supply and there was not much to eat. I keep that in mind when grocery shopping and packing a box. Do you know how cheap you can get some things like boxes of macaroni and cheese or crackers? Or how valuable those free samples or travel sized shampoos and lotions from a hotel are? And do you know how much those simple items mean to a family at the RMHC? I'll tell you, it means the world. I encourage you to clean out your pantry's. Are there canned fruits you haven't opened yet and don't have plans for? Do you have way too many boxes of Ritz? Do you have a plethora of travel sized items you took from those last 4 hotel stays? Consider taking them to your local RMHC. You can find a complete list of foods, personal items, household items, games, etc and a link to search your local chapter here: RMHC NEEDS They will give you a donation receipt, and it's a great lesson in charity too for kids. My kids totally understand that mommies and daddies stay at this special house when their babies are sick in the hospital, so we take them things they need. And if you live in Arizona and want to bring them to me, just email me or comment here I will make a special trip with all your donations! Please visit http://supportgabriellasheart.blogspot.com/ for very important information on a very special fundraiser! Step 1 click on "Our Jewelry"
Step 2 click on "Spring/Summer 2010"
Step 5 Place your order. Thank you in advance from all of us. We have been so lucky with Gabriella's health. Well, lucky isn't quite the right word. Moreso we have been given mercy. God has truly protected Gabriella over the past nearly 11 months since we first discovered there was something wrong. Her ECHO's have been stable, remaining comparable to the one prior since last summer. All the way up until January when she had her last one. This morning we went to our monthly (very early) cardiology visit. They did her EKG and ECHO like normal. Dr. Alhadheri came in like usual to talk with us. He said Gabriella's 24 hour montitor she wore last month came back stable, and showed no real issues to worry about. He complimented her weight gain, which at 45" tall she is now 43lbs! Dr. A, with urgency and concern, said he doesn't want to drag any more heels. I discussed my fears over the urgency, or lack of, on the end of neurology. He ensured he would do his part in keeping up on this all. He even said he would call Gabriella's neurologist today and remind him of the critical nature of the MRI results and status for listing. He also told me to text him Friday after her MRI to let him know it was done so he can persue the results and get them to Loma Linda for us. Have I mentioned lately how much I love this guy? He truly is invested in Gabriella and cares for her so much. Anyways, as his urgency grew, I asked about todays ECHO. Like my blog title says, it was inevitable. I knew we were going to hit a month where the results weren't stable and consistent with the month before. We dodged bullets until we could no more. He said her left atrium is growing. As it grows, it starts disturbing the heart connections all around it, like an electrical system that gets crowded. What are arrhythmias? Simply, they are like episodes of irregular heart activity. They can cause tiredness, chest pain, dizzyness, fainting... and in her case cardiac arrest. This exact thing is what I have mentioned in the past.... about those stories where young people collapse and die suddenly while playing sports because they were unaware they had a heart condition. You can read more about Arrhythmias here if you want to read in detail: WIKI But if you are anything like me in faith and hope, just rebuke the constant phrase 'sudden death'. Of course, she could have aquired these episodes long before today, but the growth of her heart only makes the risk that much greater, and enough that our cardiologist is ready right now to get things in order. It is quite possible she may have had some arrhythmia episodes in September that caused her stroke, as I am discovering with research. Time is essential now. No more wasted time, neurologists vacations, delay in testing, etc etc etc. So what happens now? Thankfully, Gabriella's MRI is this Friday bright and early. Given we can get the results sent to Loma Linda in a quick timeframe, we will head over to Loma Linda next week. They will reevaluate her and relist her. There is nothing standing in our way besides the results from this test. I am ready to be wherever I need to be whenever I need to be there. She just needs this heart. And soon.